This short and sweet pink chiffon mini-dress, teams sophistication and sass. 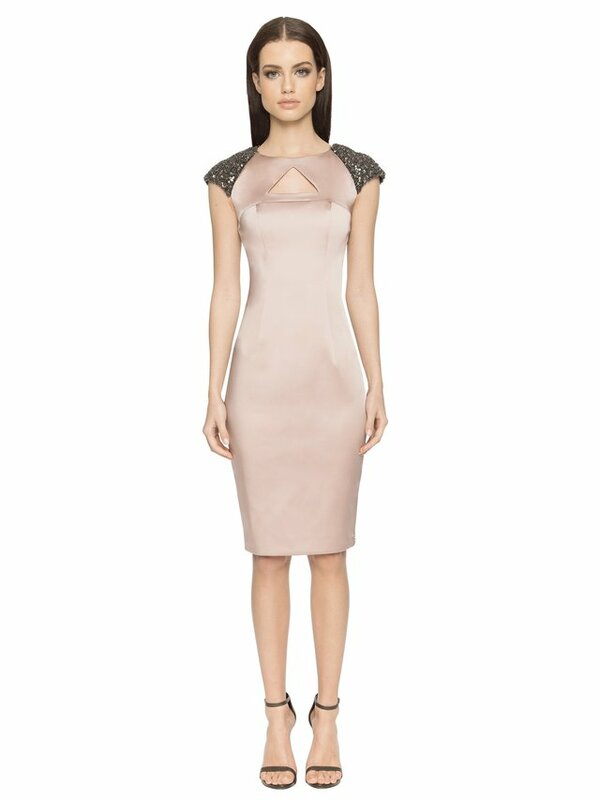 The pleated detail meets a scooped neckline to expose your sun-kissed skin. Just imagine a freshly tanned complexion against this shade of bubble gum pink. Add a twist with our Lemon yellow novelty purse.